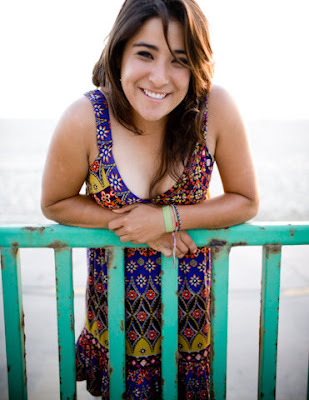 Some of you might better recognize Mariajo Uribe as Maria Jose Uribe, her full name and the one she used when she first started drawing attention from the golf world. But in the last year Mariajo started going by, well, Mariajo. No matter what you call her, you have to call her a golfer with tremendous potential. A native of Colombia, Mariajo attended college at UCLA. But before her college career even got started, she won the U.S. Women's Amateur Championship in 2007, at age 17, defeating Amanda Blumenherst in the finals. She made another big splash by finishing in the Top 10 at the 2008 U.S. Women's Open. After two All-America seasons at UCLA, Mariajo left college and turned pro prior to the 2009 U.S. Women's Open. And this week, she finished inside the Top 20 at LPGA Q-School finals, earning her LPGA tour card for 2010. No doubt Mariajo will be a very popular player with fans - she's quite demonstrative when she plays, showing a lot of emotion and passion. She's a lot of fun to watch.